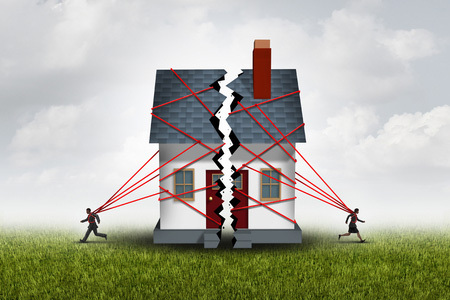 Divorce is a challenge especially when it comes to splitting personal property. This is true regardless of whether one initiated it, is unwilling in it, or it was mutually agreed upon. There are legal formulas for calculating child support, alimony and ownership of debt and assets that vary by state. Even so, determining who gets what “in their pile” still requires choices and preferences stated that may be honored or rejected and fought over for the wrong reasons. If all are negotiated through attorneys, the costs can also escalate. Many of the items needing agreement may require a mediator or attorneys to help sort through for a fair solution, but FairSplit provides a blind tool and process that eliminates the face to face aspect and can help get a couple to their true preferences faster. In many cases the attorneys participate in setting up the FairSplit use or observe as a participant. Some things are not so easily navigated or clearly dictated on how to divide. How to create two homes from the contents of one can be time consuming, emotionally draining, and can reignite or create conflict for divorcing couples. If there are children involved, motivations can be for who wants or create the most familiar or comfortable home for them. The face-to-face or walk through division of personal property can go OK if one person truly cares little about the “stuff” in the house and isn’t daunted by having to go buy all new, or shop for used things. But a walk through to determine who gets what can just be a very painful process that can feel like salt in the wound. With FairSplit there is no need for this to happen any longer. Our free 2 Party Excel spreadsheets to list and assign who gets what can be used, but if you need a process to ensure fairness and blind selection, the division tools of FairSplit will serve well. These allow for all things to be listed, then selected based on Emotional Value to each party by bidding Emotional Value Points, with all one thing, or spread across several. FairSplit tracks and tallies real dollar values to each and provides a Selection Order bidding tool after things that have little emotional charge but need to be divided. In the Selection Order round things can just be put in order of preference and the software assigns it. It is often a good idea to have an independent third party assign the market values to things like furniture, art, jewelry, etc. This way that part isn’t “gamed” by whoever is doing the valuing putting low values of items wanted, and high value on things one knows the other party wants. If one uses FairSplit.com creatively, even things like holiday custody dates, summer holiday weeks, etc. can be listed and divided in blind, fair ways. Refer to our detailed users guide to learn how to use our tool for splitting personal property fairly. ← Not All Estate Divisions Need to List All Assets – Time Saving Tip!